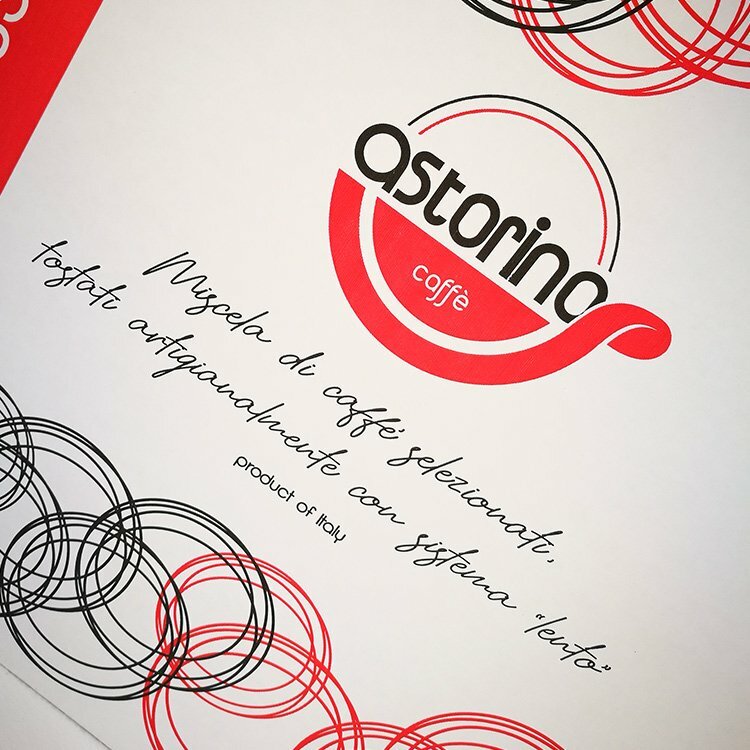 The Company “Torrefazione Caffè Astorino” started as an artisanal production of coffee with its mission to bring Italian Coffee Culture all over the World. Our daily commitment is to stimulate a conscious consumption based on the quest for quality, freshness and craftsmanship. To understand what Coffee means for us, we recommend you to slow down the fast rhythm of your day for one secondo. Perfect, now you are on a “virtual coffee break”. Read each word slowly, one by one, imagine in the background the noise of a coffee machine. Close your eyes for one second and imagine the precious black fluid, its perfume, its taste. That’s it: for us making coffee is not just to sell a product. We want to make every moment of your break a unique experience. When a cup of coffee is made with passion, it makes life unique. Passion is the main keyword that soaks each grain of our coffee to that perfectly roasted texture, which is then mixed and stored. A passion grew across almost 20 years that has marked the history and the life of the Astorino Family. With sacks full of coffee we strengthened bonds, grew friendships and with a new generation of the family. of the family. For this reason, every sip of coffee that you drink is important. We want to give you the best each time you hold a warm cup of coffee and the scent fills the room giving you that good morning, during those few minutes you become one of the family, you feel welcomed to share with us the passion for good, simple things made with careful attention to details. Those healthy and genuine things that sometimes we seem to forget but that still represent the idea of Italy around the world. Everything gathered in a small cup of coffee. We dedicate a lot of work to blend in a concentration of tastes and unique scents capable to give you energy in any moment of your day or to welcome your clients, guests or friends. We are always seeking for the best coffee beans all over the world and we constantly research to enhance the qualities of different coffee varieties in unique blends. Our blends are made through roasting every variety individually: in this way each one is prepared with the proper temperature and time that respects its unique characteristics and properties and the blend is mixed when the beans are already cold. Don’t you feel for a good coffee right now? We are constantly searching for the best coffee varieties in order to give unique tasting experiences. Wherever you go you will find our professional coffee machines. Those who have chosen our Coffee can guarantee you the maximum quality thanks to the coffee machines we provide and maintain so that you may experience our unique taste worldwide. You can comfortably receive our coffee in your home by purchasing it online from our online Shop. We are in Italy, Germany and Albania. Where can you buy and taste our coffee? We are in more than 100 places all over Europe. We personally select each store after a careful inspection. Are you interested in becoming our distributor? Do you have a bar or are opening one? Contact Us to have more information and together we will find the best solution.